Prayer did not come naturally to me. I once turned to Rabbi Immanuel Schochet obm at a JLI retreat and asked for his help. It wasn’t by chance that I approached him. Years before, Rabbi Schochet had come to visit me on the Friday afternoon my then fiancé had passed away. In addition to my loss, because Yehoshua was a convert, the day of the accident I had to deal with trying to convince his parents to give him a Jewish burial long distance. To say Rabbi Schochet’s kindness, strength, advice and support were helpful is an understatement. Later that summer, we spoke at the Ivy League Torah Study program. In the shade of a tree he shared a parable of the Baal Shem Tov that illustrated how to relate to challenges and suffering. It has remained with me till today. I want to impart what he told me about prayer along with a few practical pointers of my own as I’m pretty certain I’m not alone in the struggle. When I first began davening in a formal sense, I was captivated. Of course I had always talked to G-d and one of my earliest memories is of watching and listening to my mother pray after she lit candles. I had also spent hours in shul reading from a siddur. But I was “reading”. I hadn’t owned prayer as a way for me to serve G-d. Once I did, the words were poetry! They were so fresh I didn’t have to work at kavanah. But not for long. Those were my months of bridal romance with tefilla. They soon went away. Most of us seem to experience a disconnect when it comes to davening. Rabbeinu Bachya in Chovos HaLevavos writes that someone who prays without intention is like a person who gives another a meal but doesn’t eat with him. When I encountered the passage, the metaphor struck me as strange. I consider G-d as my Host and myself as the guest. He feeds me! But when I paid attention to how that might look in real life it made lots of sense. Rare is the host or hostess who would place food on the table but not join the guest. We would consider it rude. It would be waitressing. How then do we place our offering before G-d without “being there” with our heart? The Alter Rebbe teaches that the prayer-time of each weekday is its own Shabbos. Once a person has truly tasted that Divine rest, would they consider living without Shabbos? Why then do we feel comfortable to cruise on without sincere prayer? I think the answer lies in that we are exiled in our bodies. The story of Exodus recurs for each of us each day. Personally I find that learning shifts my davening. Torah affords me an exodus so that I can at least enter the siddur. In particular, studying the meaning of the prayers helps. Rabbi Mindel’s book “My Prayer” is what I began with. Kuntres Hatefilla of the Mitteler Rebbe in recent years has been a windfall. In addition to the learning, here is Rabbi Schochet’s advice to me along with some things I’ve tried out to enhance my davening. I had shared with Rabbi Schochet that I was thrown off by the fact that one moment David Hamelech says, “We’re going to sing your praises”, the next he says, “You’re so wonderful”, and then some lines later the language is referring to G-d in third-person  “He is awesome”  and then bounces to general philosophical statements. What was with all those literary things I’d learned about sequential flow, maintaining one voice and being consistent with personal pronouns? He told me that when we pray we think of talking “up” to G-d. This is the essential aspect of davening. But, he added (and this was the paradigm shift for me) we also have to talk “down” to our own heart. We are multi-dimensional and we have a dual identity. Prayer serves to praise G-d and it also serves as a form of self-guidance, training, education and aligning of our lower self with our true self. All this so that we can praise and thank better tomorrow. We must talk to our own heart. I used to insist on davening everything. Eventually I realized that was really a trick of my yetzer hora. I’m not saying (speaking from the point of view of my halachik obligations as a woman) that one shouldn’t daven everything! I’m only saying that if it will be a part of the prayers or nothing, then less is more. When I accepted an “easy does it” mentality I could finally begin to grow in that arena. All around me, I see people who don’t even speak Hebrew praying in, well, Hebrew. I do speak the language but still struggle to understand Tehillim (sometimes even when I know every word in a verse), parts of the Machzor and so on. I know it is preferable to daven in Loshon Hakodesh and that there is an aspect of sanctity missing in a foreign language. Certainly one should try to say Shema in Hebrew. But we are talking to G-d! To do so, to talk from our heart, we have to understand what we’re saying. Words spoken from the heart enter that of the listener. And so I began to add portions in English to my davening, or alternating days praying one in English and the next in Hebrew. This helped me better understand Hebrew phrases. And even more importantly, it also opened my heart to talking to G-d. There are three paths in prayer: Formal liturgy, tehillim and personal dialogue. They are all important and they complete one another. I think we don’t focus enough on the personal prayer, simply taking time to talk to G-d. I am not referring to the, “H-shem, please find me a parking spot” moment. I’m speaking about setting aside even one minute devoted to talking to G-d, taking a moment to feel His love, thank Him, and unburden our hearts. This develops our conscious awareness of G-d in our lives and further enhances formal prayer. With social media, we have, counter-intuitively, become more rather than less isolated. We unfortunately don’t see each other face to face as often as we used to. Enter Shabbat morning davening! It’s become a time to kibbitz. And that robs us of the time with our Creator in shul. Ultimately, the blessing of an open heart is up to G-d. We have to show up and at least pray in silence, working our way deeper into the davening. That is our part. Even if your socializing is in shul, let it be after davening. I hear people speaking about a “prayer practice.” I practice writing, the piano, exercises and the like. But not prayer. Ours is a “prayer service.” We have to train our inner animal. Even though our hearts are wild and a part of our minds like monkeys, there are very few lines in the liturgy which require full kavanah. The mitzvah is to come to the meeting. Not praying. I had to humble myself and accept a pauper’s offering. We are told that the afternoon service was especially precious to G-d. That bit of flour and oil wasn’t a fattened cow but it topped the altar’s smorgasbord. I took that teaching and applied it to all my prayers. They were not going to be perfect. It was and is an ongoing struggle. Accepting that fact, I become more able to place my korban mincha on the table. When Rabbi Schochet was ill, I hesitated as to whether to call him. I wanted to thank him for both for the support after my loss and his gentle and wise guidance that had so meaningfully impacted my davening. I wasn’t sure it was appropriate. More importantly, I so hoped he would recover. A call implied I had my doubts  for why else would I be phoning now? In the end, I decided to call and I am so glad I did. I told him I had heard of his situation and that I wanted to thank him. I shared the impact both those gifts of his time and wisdom had made on my life over the course of decades. I shared my gratitude for maybe two minutes. When I finished, there was silence for a few seconds. Then, in his understated, resonant, wise and kind way, he said to me, “Thank you. I appreciate your call. Thank you for calling” and he gave me a blessing for my family and work. It was my turn to be silent. I was humbled by his graciousness, the remarkable person he was. We said our goodbyes. I put down the phone with feelings of deep gratitude, respect and yes sadness that bederech hateva I would not speak to him again until Mashiach comes. 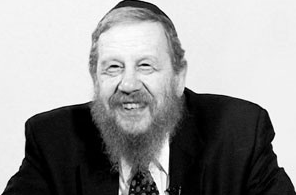 Every day I pray, I think of Rabbi Shochet. I thank him. May his memory be a blessing. Prayer is a mitzvah whereby we serve G-d with our heart. Whereas with other mitzvos, we can fulfill them even without kavanah, prayer requires intention to qualify as prayer. The Alter Rebbe teaches us in Tanya quoting from the Zohar, intention  the love and reverence in our heart  are respectively analogous to the right and left wings of a bird. Just as a bird without wings is still a bird but cannot fly, so too a mitzvah is still a mitzvah even without the intention. However the light and holiness generated by our action cannot ascend through the heavenly realms without intention. So much for the commandments at large. Prayer however is different in that as a heart-centered service, it requires the heart’s involvement. Without kavanah in prayer, the bird isn’t even a bird. Of course “up” and “spiritual” imply less temporal and less spatial. We don’t think of G-d as being “up” and away in a literal sense.